Karl here and I will be reviewing the Morefine M1+. It is an Intel based stick PC with an Intel Atom x5-Z8300 processor with 2GB RAM and 64 GB of storage. 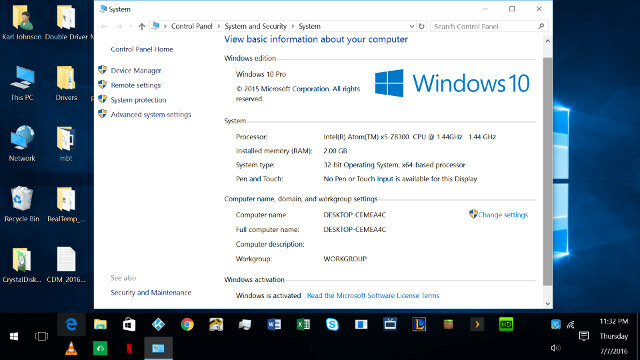 It dual boots Windows 10 Home 32 bit and Android 5.1. In this review, I won’t be doing many benchmarks because they have been done a lot in the past. Be careful when researching this product because there are 2 devices with same name with different specs. The other one has an Intel Atom z3735 and only 32GB storage and Android 4.4. 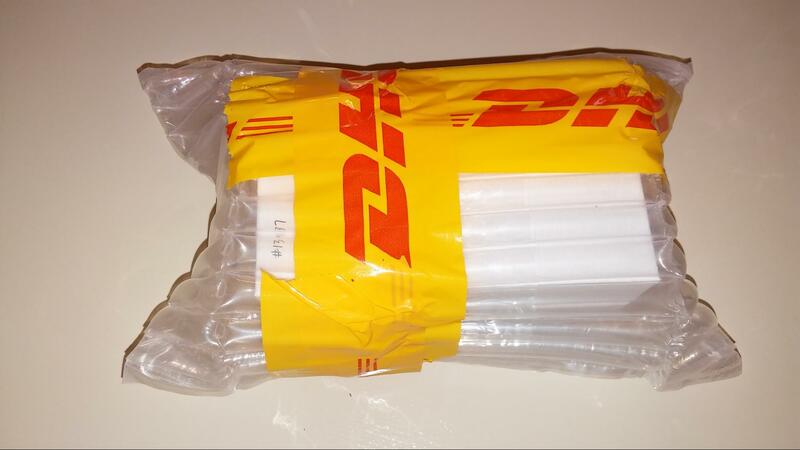 The box came expertly wrapped and I have never seen a package delivered and protected so well. In the box was the stick, short HDMI extension, power cable, and instruction manual. No micro USB OTG cable is included. I didn’t find this an issue because I had several already. When power is connected and after pushing the power button I was prompted with android logo and windows logo. I used a Logitech K400 to navigate and left right arrows are used to choose Android or Windows. It remembers what you booted last when you reboot. It didn’t come with Windows activated and I had a key for Win 7 pro available. I went to the Windows store and searched for Upgrade Windows Pro and I put in this generic key VK7JG-NPHTM-C97JM-9MPGT-3V66T that I found on the Microsoft website. This key installs Pro but does not activate it. I let the system upgrade then I went to activation and put in my key to properly activate it. So there are a couple options to activate Windows. I tried to do a fresh Windows 64 Pro install but the stick wouldn’t recognize my thumb drive. I contacted the manufacturer and asked for 64-bit drivers but they were not able to provide any. I didn’t want to brick the stick so did not experiment any more. I received links to restore img as I was completing this review so I did not have time to test. Here is the link, and instructions are the same as the original M1+. The process seems straightforward. I tried to do a restore and I think there is an issue with the Android restore provided by Morefine. Complains of being 64-bit when only 32-bit capable. I let Morefine know and I will update when I find out what the issue is…Maybe I can’t follow instructions…wouldn’t be the first time. The thermal design for the stick is adequate. I kept True Temp running while reviewing and only saw it spike to 80 deg. Celsius once. It was during the installation of Microsoft Office while browsing with Chrome at the same time. Most of the time it ran between 50 and 60. The fan on the stick runs at different speeds depending on the temp and when only running light apps turns off completely. I didn’t find it annoying and barely audible. For a comparison the air coming out my vents for HVAC is substantially louder. I performed a 30 min stress test with prime95 while streaming Netflix and the fan only kicked into its highest speed once. 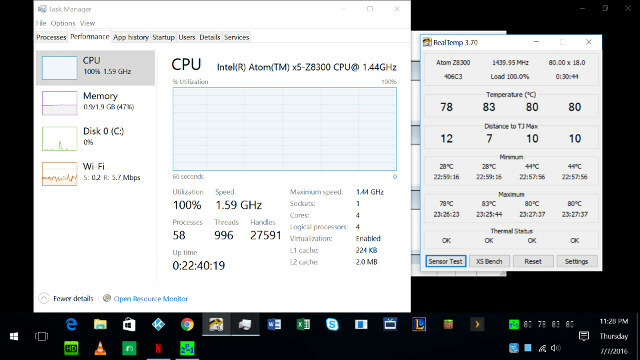 2 screenshots below show right at the end and the stick cooling off quickly. I don’t play much games but I did play Minecraft from the Windows store and it ran really well. I did have some hiccups playing network games with Android tablets but it still is in beta and I don’t think it is attributed to the stick. The only other game I play occasionally is League of Legends. It is not a demanding game but I was impressed that it played well. League of Legends is a real time strategy / RPG game that any lag gets you killed and I didn’t feel like I was at a disadvantage using the stick. I feel like a home theater PC is the best way to utilize this stick. I tested out Kodi, Plex, Emby, and HD Homerun app. All of which played well. I was able to play some 4k content but only up to 8-bit HEVC. I could not get 10 bit to play in any player. All the 1080 content I tested played well. I found WiFi to be only mediocre. Windows was better than Android. It might be the fact that I had it so close to my TV. 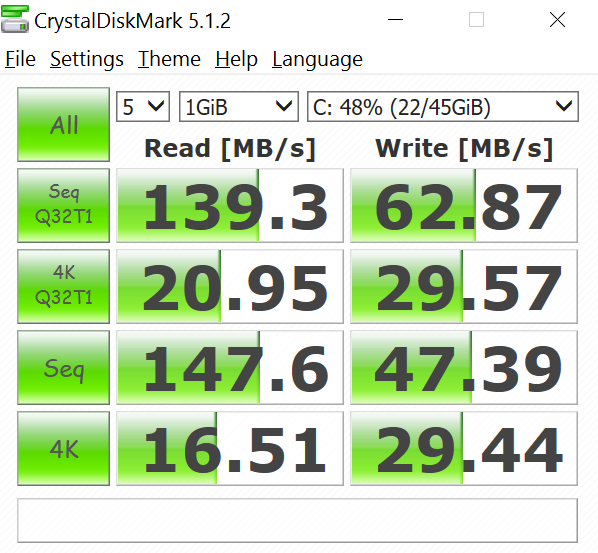 If I moved it to the right spot, it would copy about 4 MB/s. The access point has 3 walls to penetrate which includes a bathroom with copper pipes. You can see below where moving the stick made speeds fluctuate considerable up and down. 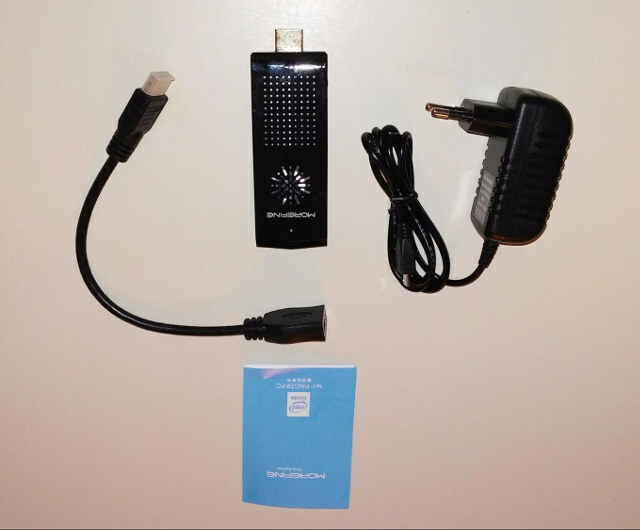 I tested a rtl8188etv USB adapter but there was some sort of driver conflict with built in WiFi and I had to restore the driver for the built in Wi-Fi from the double driver backup I made. 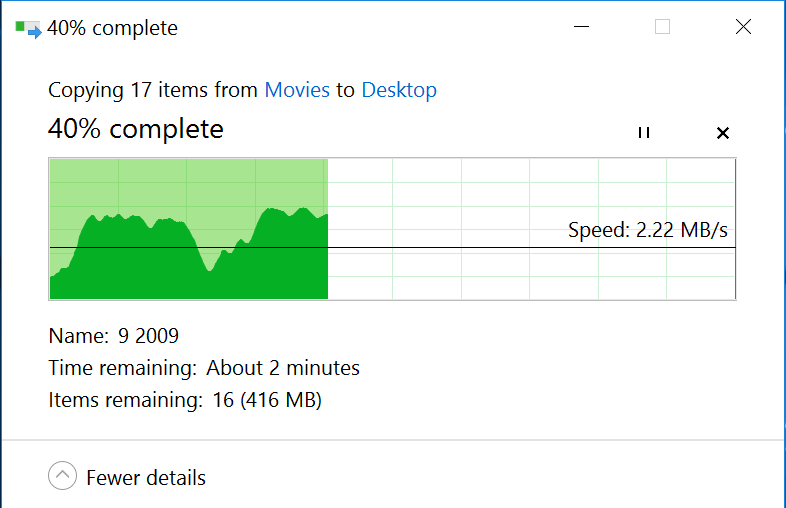 I did use a ASIX USB 3.0 gig adapter and it worked really well. I also tested a ASIX 10/100 adapter and it worked well. I was a slightly disappointed on the Android side. I really like that it didn’t have any bloat but but this is extreme. No play store was included. I tried for several hours to install Google play store and Google play services kept getting constant app closings so I uninstalled them. Android is not rooted. ADB does not work. I installed aptoide and used it to install all my apps. I don’t like using it but it is better than side loading all the apps from the web. Kodi worked well. As I was using Android I am really impressed by the UI. This is my first experience with Android on Intel. It is really fluid. I am not sure why Android on Intel didn’t take off. I guess my ignorance kept me from it and I imagine others as well. I had no issues with apps and they all seemed to work well. I was always worried that apps wouldn’t work well on Intel processors. There is the issue with time when booting between Android and Windows. Time gets off. A little hack can be applied to Windows so that time doesn’t become off when switching OS’s. What is needed is to set windows to use universal time. 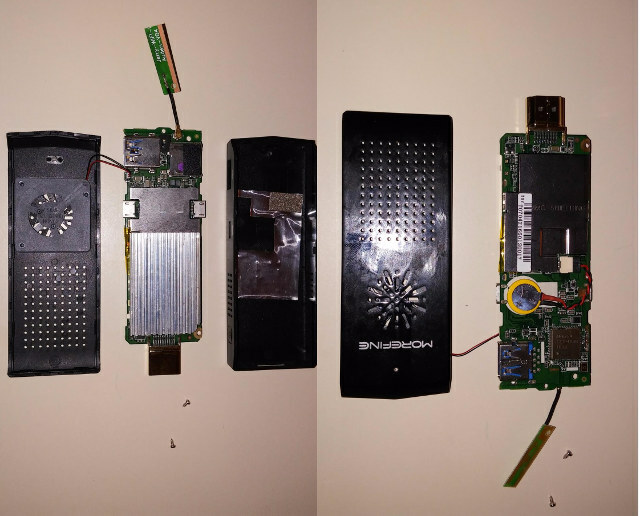 Below are some pics of inside the stick and internal storage test. WiFi chip is AP6234 and notice that the antenna is not soldered on. It would be easy to mod and install an external antenna. I loath the sticky soldered antenna. There are quite a few BIOS settings but the only one I changed was an option for the stick to turn on when power is applied. I prefer it to come on in case power is lost so it will reboot on its own. Its nice if you use as a micro server. In the event you do not wish to use Android you can recover most of the space used by Android. 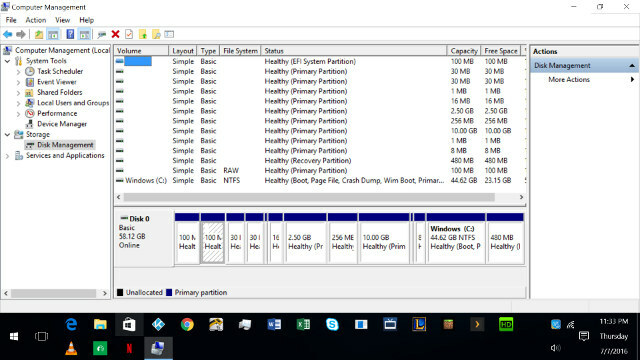 I used the built in disk management under Computer management and deleted all the partitions and tried to extend the main Windows partition but it was greyed out. I then downloaded Minitool Partition Wizard and completed the final extend and this is what I ended up with. You still will get the initial choice of Windows and Android but Android bombs. Reboot and choose Windows….this might be able to be fixed and boot directly into Windows without a choice if a recovery USB is made and have it fix booting. Overall, I was really pleased with this stick. The thermal design is well engineered. Easy to use. I have been playing with Android boxes for the home theater for several years now. I have to admit having a product that just works feels pretty good. I can plug in just about anything and Windows will find the drivers and install…or with just minimal searching find a suitable one. I don’t have to beg a dev to compile a kernel with necessary drivers. If you have any questions feel free to ask below in the comments. I would like to thank Chinavision for sending the Morefine M1+ to review, and you can purchased on their website for $81.69. Alternative shopping options include Tinydeal and Banggood, with most other shops only selling the older Bay Trail version with Android 4.4 and 32GB storage. I’d be nuke-n-pave-ing the thing. Windows? Nope. X86 Android isn’t as useful as could be. OpenElec? Yeah. I can try openelec if you would like? Did you test the MicroSD card slot too see if it would both support and run the larger size cards and at what speed? Worth noting that 10 bit video is not supported on any of the Intel low end SOC’s, so will never be able to play any video of that type. 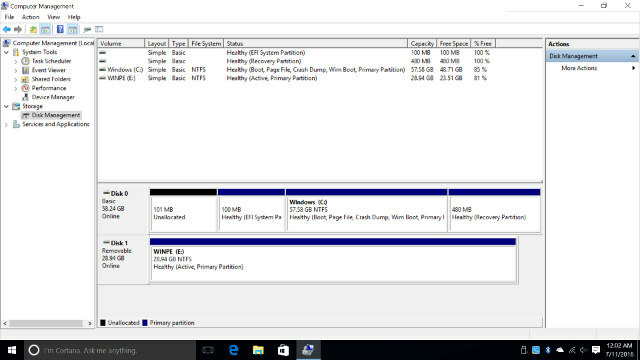 Are there any options to run Windows 7 or 8 for those users not wanting to go the 10 route? 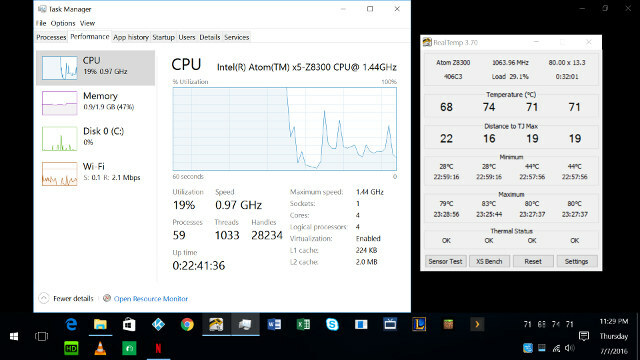 I have the Intel Compute Stick Core M3 Processor, tried to run RemixOS, PheonisOS and Android 4.4, 5.0 and 6.0, all of then can’t make the audio over HDMI to work properly, wondering the device that you received, did they customized their android version to make the sound work ? You have any idea or do you mind to share it ? I am not sure about how IMG is modified. Download and take a look. It might even flash. I’m also curious to see if their Android supports all that esoteric hardware. I tried a recent (downloaded from android-x86.net) lollipop image on my Wintel CX8-Pro, which is based on the same hardware, getting the usual troubles with HDMI audio, WiFi and Bluetooth. The firmware on the Wintel CX8-Pro (Insyde 64 bits UEFI) has a whole section dealing with Android specific settings. Insyde has their own “Android BSP for Intel Atom” but it’s not clear if it can run on CX8-Pro. Intel doesn’t provide 64bit chipset drivers for it’s non-server Atoms as part of their market segmentation strategy. >I am not sure why Android on Intel didn’t take off. The other part of their strategy was crippling linux with https://bugzilla.kernel.org/show_bug.cgi?id=109051 so it won’t compete with the server offers. It also meant no new Android versions could run on those devices. Beelink BT7 (Intel Atom x7) runs Windows 10 64-bit, and it shipped with a CDROM containing Windows drivers including some from Intel (audio and HD graphics). So I guess the manufacturer should have the drivers, and if not, they can be extracted from the recovery image. Your comment is probably true for Linux though. Could you share the ISO? Just a quick note about the Morefine device. I wasn’t able to do a full restore during the review and I was right…..I can’t follow directions. In the instructions provided it said to press f4 as soon as you boot into the bios and save then esc to go into bios again. Then you have it “launch efi shell from filesystem device” and it started the restore process. Makes no sense to me but works. Also Morefine provided an updated android img with play store installed. I did a full restore, android and windows, with no issues. 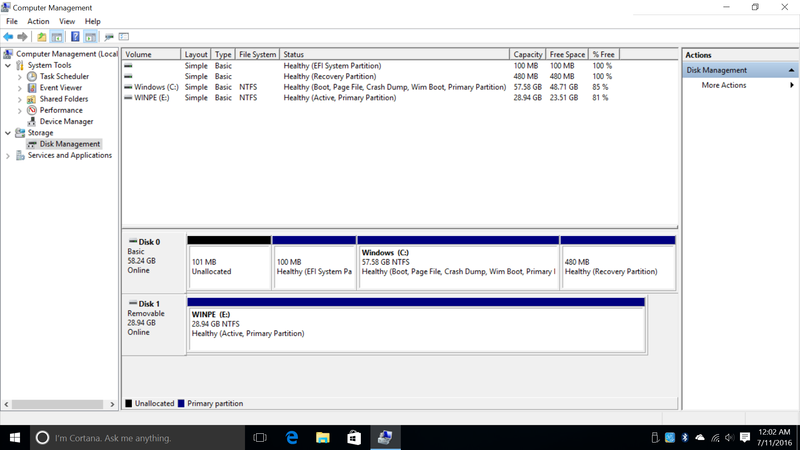 It even fixes the partitions I blew away to get full space.